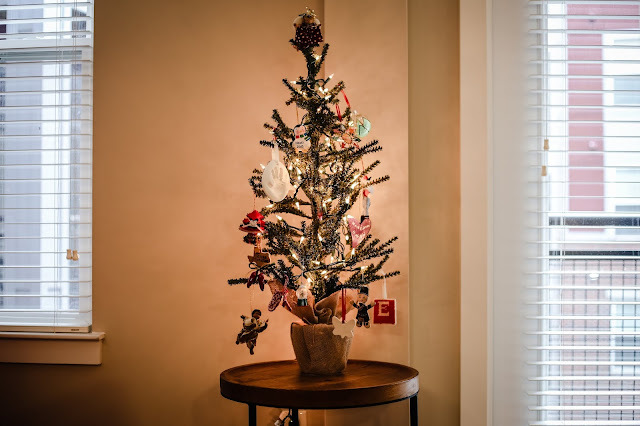 If you are like me, the holidays can really invoke stress and anxiety. Don't get me wrong, I LOVE the holidays and everything (mostly) that surrounds them. I look forward to November and December, the parties, the food, the socializing, and the merriment. What I do not look forward to is the consumerism, the waste, and my personal overwhelmed feelings around clutter. As much as I love Christmas decorations, they overwhelm the crap out of me! They make the space feel extra cluttered at a time of the year when you are mostly inside anyway. And since having a child, this has gotten even worse. I think my number one reason in striving for a minimalist lifestyle stems from clutter/stuff and the stress and anxiety it makes me feel. I cannot function around so much stuff. -Get ONE rubbermaid container and use that as your limit for holiday decorations and "stuff". I only have as many decorations as will fit into my rubbermaid. I bought the container for holiday decorations and if I acquire more decorations and they don't fit, then something else has to go. I have a strict one storage container rule for decorations. -Use newspaper. 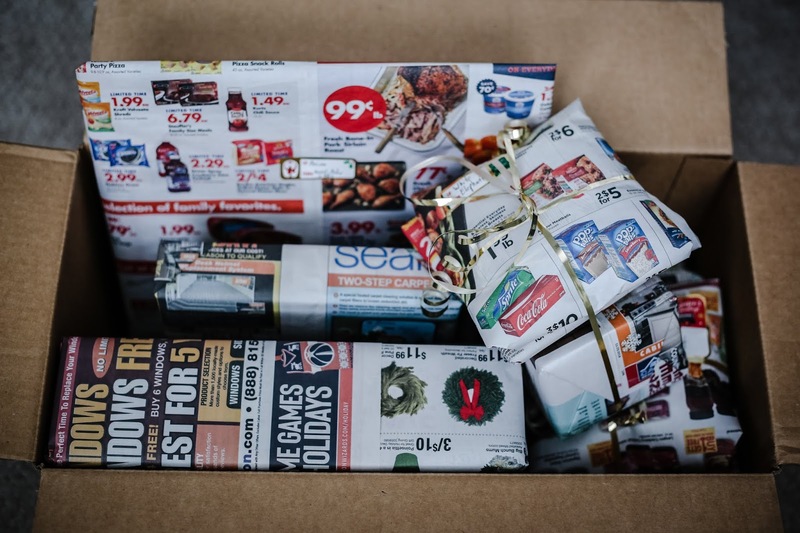 Wrapping paper is bought by the hoards only to be ripped, crumpled, and thrown into the trash. I bet most people don't even recycle it! Newspaper, or those grocery store ads that come in the mail are not only free, but are papers that have already been recycled. If you feel the need to jazz it up add a flashy bow, then save the bow to use again next year after the gift has been opened. -Make your own from foraged greenery outside. Or, use a regular everyday wreath and just slap a red bow on it. 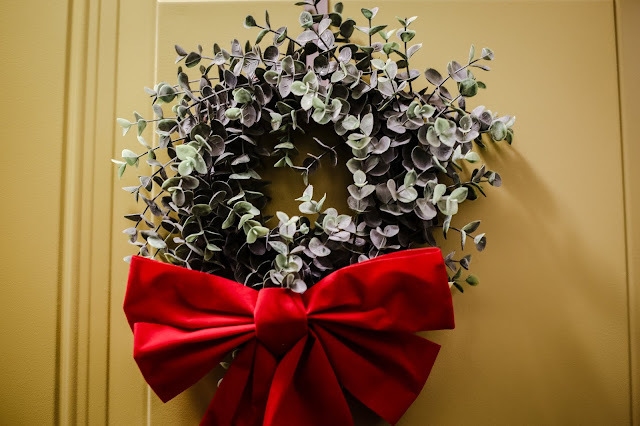 When the holidays are over just take the bow off and continue using your wreath. Draw a name - then you are only buying a gift for that one person. Draw a name thrift store version - this is what Andy's family does when the extended family visits for Christmas. Everyone draws a name, then we load up into cars and spend a few hours at one or two thrift stores. We each have a $15 limit to find our person something we think they would like. 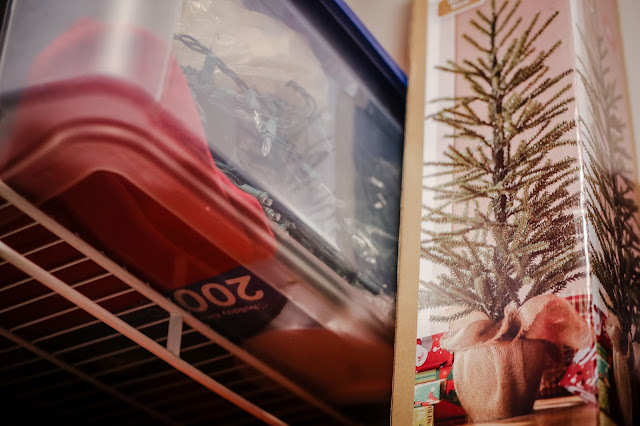 After the gifts are wrapped and given, we have the option to trade or re-donate the gifts back to the thrift store if we don't like them. Thrift store gifts - only buy gifts from the thrift store. This year we bought Hazel gifts for the first time and they came from the thrift store! We found some really great games that weren't even opened yet. Donate money or time instead of giving gifts. Give gift certificates for experiences or subscriptions. Use the 3 gift rule - Give something they want + need + wear or read. This is what Andy I usually do for each other. Give one really nice gift. Andy and I did this last year and will do it again this year. Give food - this could be in the form of a gift certificate to a nice restaurant, or a subscription to a food service like Sunbasket. Or, just fill a stocking full of fun and unique food items. Andy and I like to shop at an international food store to find unique food stocking stuffers for each other. 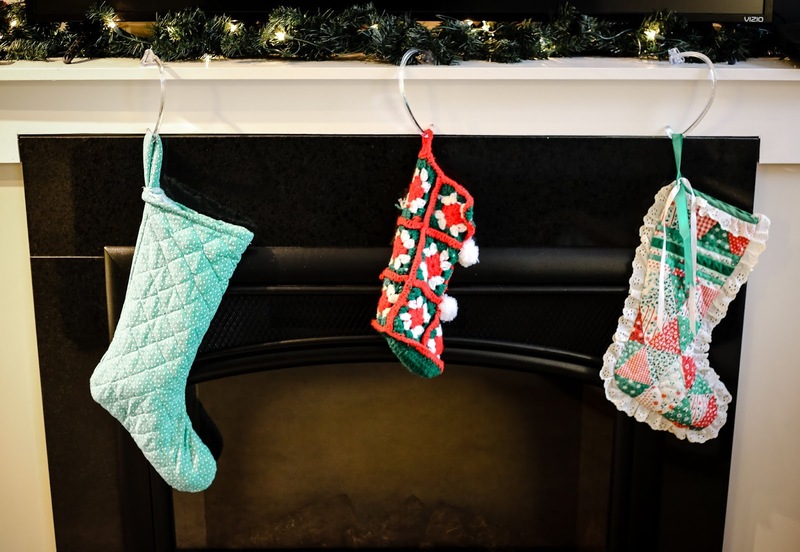 Give handmade gifts - get crafty, go on pinterest and find a batch of something to make and give to everyone on your list. I have a friend that gets homemade vanilla from her brother every Christmas. My mom always sends a little box of homemade snacks, jewelry, and other fun things for Christmas. One year she made us cloth napkins with artsy napkin holders that represented each of us. So try out one or all of these ways to keep the holidays minimal. Then, spend your days eating great food and having quality time with the people you love.